Bleach it out – However, it is a chemical based wayout but bleaching is one of the easiest ways to get rid of patchy skin. The process of bleaching makes your skin light and also remove sun caused pigmentations from your skin. Nowadays, you can find a number of bleaching products which are specially made to remove ugly sun tans. Natural skin lightening methods – the kitty of nature is crammed up with elements which can wonderfully remove blemishes and dark spots from your body. Lemon and papaya are two most effective skin-lightening agents which effectively removes blemishes from body. A regular application of lemon juice will help you in getting a fairer and even skin tone while papaya pulp can be used as a mask which endows one with a glowing skin and better complexion. Regular Exfoliation – Number of times, accumulation of dead cells also cause formation of blemishes and spots on skin. You can get rid of these dead cell caused skin issues by exfoliating your skin regularly. A regular exfoliation will make your skin breath easily which will supply required oxygen to your skin cells. This will eventually help you in getting better skin tone. 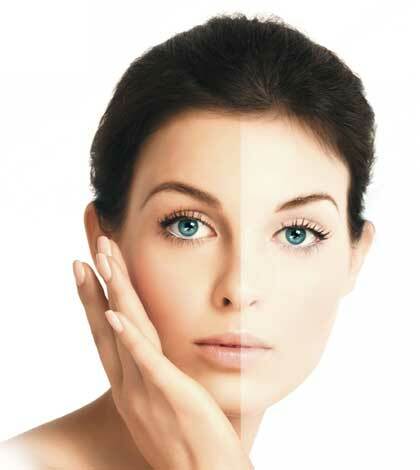 Use of sun blocking agent – One of the most rigid skin issues are melanin pigmentation. Normally caused by over exposure in sun, melanin pigmentation makes skin tone uneven and unattractive. And unfortunately, not many medications are impactful on removal of these ugly skin tints. Thus, the lone idea to stop expansion of such spots is use of sun blocking agent. Note – Although, it is not proved but some beauty experts suggest using salicylic acid/alpha hydroxyl acid based night cream for removal of melanin pigmentation. Fairness Lotions/Cream – If you are enticed to buy a whitening lotion after watching the TV ad in which a girl gets beauty makeover within a week, you might get disappointed with the fact that the particular lotion is not that quick in actual. But the good news is, this whitening cream/lotion can help you in making your skin tone even. If you are suffering from uneven skin complexion, use of whitening lotions can offer you an ease as these creams and lotions are generally made with components which can fix skin pigmentation. Note – While buying such creams and lotions, you must check the ingredient list of the product to ensure that you are not buying a product which contains hazardous chemicals such as mercury and steroids. These chemicals will bring more hazards to your skin than benefits. Laser Treatment – This is the latest way to get an even skin tone. The world of machined beauty/plastic beauty has solution for our every beauty problem. And the cure for uneven skin tone is known as Fraxel Laser Treatment. This is a non-surgical process of skin rejuvenation. This laser treatment is supposed to be very effective in removal of freckles, brown spots and noticeable sun caused scars from skin. You need to make visit to your nearest branch of a reputed beauty clinic for a few sittings and experts of this technique will remove all the unsightly spots from your skin. Chemical peels – This is another modern day’s child of beauty treatments. In this process, beauty/skin experts removes upper layer of your skin. But this process is considered little risky, as if not applied properly, it can leave harsh effects on your skin. These tips can help you to get a better skin tone but the best way to have a beautiful skin is its proper care.